Hurricane Matthew will cause catastrophic damage to homes and businesses all along the south east coast. This is what you need to know if your property is damaged by the major storm. Residents from Orlando to Jacksonville, Florida, up through Georgia and South Carolina are all urged to put safety first as they return to their homes after mass evacuations in each state. Obama preemptively announced a state of emergency for Florida as the category 4 hurricane rampaged across the Caribbean. This means the National Guard and many more resources from Washington DC will be readily available to aid the homeowners and business owners who lose their livelihood or more to the hurricane. In Florida, many beach communities are expecting high levels of rain and storm surges up to 11 feet. Many of the one-story buildings along the barrier islands will be swallowed by waves and floods. To make matters worse, power outages are expected across the state. 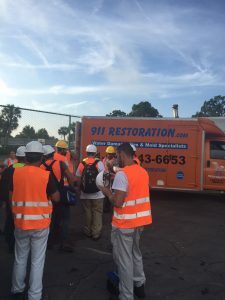 If you return home to disaster, know that 911 Restoration is already on the scene providing immediate relief from residential and commercial customers. We are currently mobilizing expert technicians across the nation to help with the relief effort, starting with this article of information and helpful tips. Our top priority is your health, safety, and happiness. Even if your home floods, we will guide you through the process of restoration and remediation to make the residence better than ever; all the while providing a fresh start as the calm after the storm. The best way to stay safe during Hurricane Matthew or any such storm is to relocate. Avoiding the storm center will provide a layer of safety, hence Governor Scott’s pleading for residents of the Barrier Islands to evacuate. 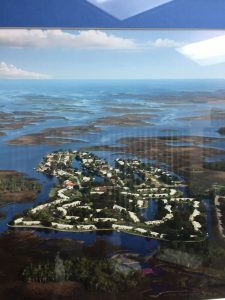 Massive relocation efforts were taken to ensure communities had enough time to secure their property and flee the affected areas before the hurricane made land fall. If you do not have relatives to stay with or emergency funds for a hotel, shelters have been opened across the state, welcoming those escaping the brutal storm. Ways to keep your property safe in a hurricane include boarding up windows with plywood, covering door jambs with sandbags, and shutting off your utilities. Plywood will dispel debris from shattering windows. Sandbags will absorb water to stave off rising rain from seeping into your home. Turning off utilities prevents excess damage from occurring should a water line break or electrical wires fray. Hurricane Matthew’s swath of destruction is not yet set, so it is important you stay up to date with the latest developments of floods in your community. The best way to do this is with a battery powered radio, tune into NOAA Weather Radio at 162.400; 162.425; 162.450; 162.475; 162.500; 162.525; 162.550. If you have internet service, you can find the latest updates on Hurricane Matthew by visiting the National Weather Service. Finally, we strongly encourage you to download the free Red Cross Emergency App to find shelters, first responders, and other resources in your area. FEMA offers help to those whose homes, businesses, and lives have been devastated by disasters such as Hurricane Matthew. Therefore, if you return to a flooded home, take your claim to the Federal Emergency Management Agency for help in your recovery. You can also call 911 Restoration for a professional water damage restoration job that will have your home better than ever as quickly as possible. 911 Restoration is a disaster repair company that is determined to give the best restoration services to homes and businesses affected by Hurricane Matthew. 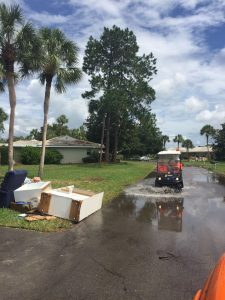 We have over 70 locations nationwide, including 6 in Florida, and many of them have made the trip to give a helping hand in the disaster strewn Barrier Islands, from Daytona Beach to West Palm Beach. With all the manpower and latest drying technology at our disposal, our specialists will help you recover from any damage from Hurricane Matthew as quickly and easily as possible. If you have homeowner’s insurance and flood insurance, we will walk you through the policies and help you understand what is covered and what is not. We are fast and thorough with our water restoration jobs because we are very familiar with these types of disasters. The longer moisture is allowed to sit in a home, the more likely the flood will turn into a mold infestation, especially in the humid environment. 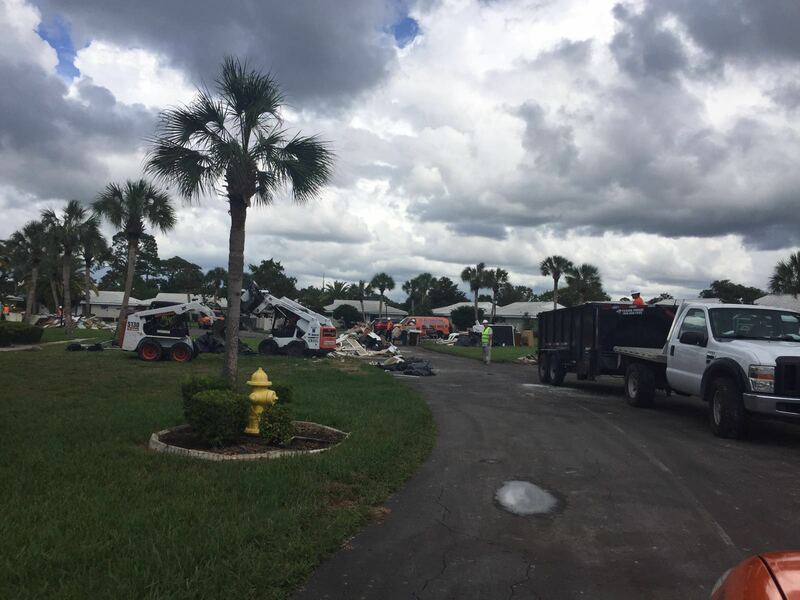 Hurricane Hermine destroyed 173 homes in the town of Crystal River, and 911 Restoration was on the scene that day with over 200 technicians and an extensive amount of equipment to handle the situation. We understand the need for expediency and thorough completion even on such a massive job. Despite total losses and homes flooded up to four feet high, our crews were able to repair the properties in the community. Today, less than a month later, the residents are once again happily living in their homes. 911 Restoration is dedicated to this type of customer service and quick satisfaction through professional disaster restoration services after the most devastating hurricane damage. Call us for the same results and watch us breath life back into your beautiful home. If you are hurt or you witness someone suffer an injury, be sure to call 911 first and foremost for emergency services. Otherwise, here is a list of compiled phone numbers and other resources to help you if Hurricane Matthew damaged your property.